Hostel 33 i Tenerife, Spanien: Reservér nu! 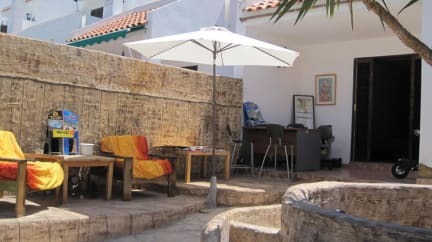 Our little hostel is spread over two floors and consists of 3 bedrooms, 3 bathrooms (3 with showers),our lounge with TV. Free WiFi is available all year round. 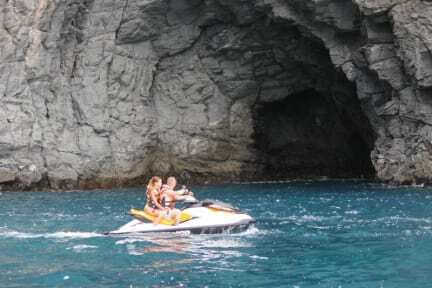 The Hostel is situated in the center of Costa Adeje.Next tu us you will find every thing you need.Supermarket, Pharmacy, Bars Restaurants, Doctor, Exchange, Excursions, Beach only 2 min Walk. The Siam Park (n.1 first class word attraction in Tripadwisor) free bus next door.